Immersive, participatory and environmental provocations form the basis of Calmus's practice which takes a multidisciplinary approach spanning fixed large scale light installations to month long nomadic social interventions. Interested in psychological and philosophical narratives, her explorative practice is intentionally interdisciplinary; viewed as a series of experiments underpinned with explorations into interaction. Calmus graduated from Duncan of Jordanstone (2014) in Art, Philosophy and Contemporary Practices, after which she moved to Edinburgh and began volunteering as a Hidden Door Festival team member, where she currently sits as a Core Team Member, Programming and developing the festivals content. Since 2014 Calmus has participated, organised and been selected for over 40 joint exhibitions, residencies, events and interventions, predominantly in Scotland. In 2018 Calmus was granted Visual Artist and Craft Makers Award from Creative Edinburgh and City of Edinburgh Council to develop work that was selected to show at the 121st Annual Exhibition of the Society of Scottish Artists 2018-19 exhibition at The Royal Scottish Academy. Most recently Calmus lead a performance based workshop in the Scottish Gallery of Modern Art for the National Galleries of Scotland’s The Drawing Room. 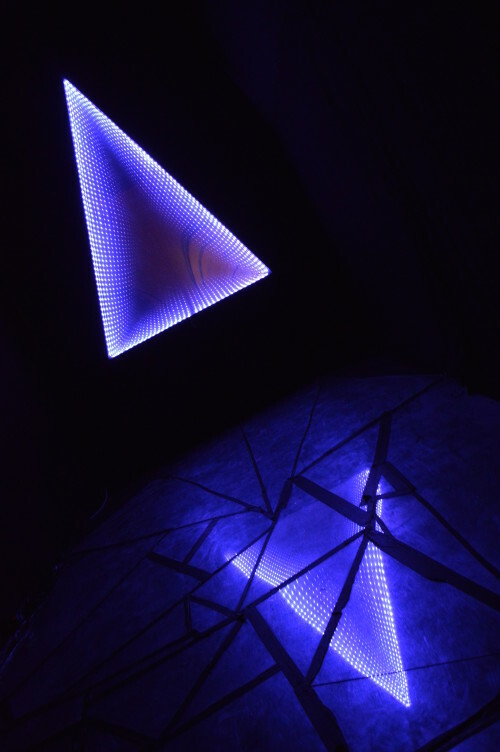 Selected exhibitions, events and commissions include; Forth Valley Open Studios commision for Falkirk Community Hospital (2015), Selected and Invited Visual Artist for the Hidden Door Arts Festival (2015, 2016, 2017), Invited Artist; Paradigm Electronic Arts Festival (2017), Selected Artist; Architecture Fringe Festival (2018), New Glasgow Society (2018), Custom Lane Residency (2018). In 2015, Calmus was shortlisted for the STV Digital Spark Award. Mark Making as Movement, performance workshop- The Drawing Room, Modern One, National Galleries of Scotland.